July 19 is the 200th day of the year(201st in leap years) in the Gregorian calendar. 165 days remain until the end of the year. 1981 – In a private meeting with U.S. President Ronald Reagan, French President François Mitterrand reveals the existence of the Farewell Dossier , a collection of documents showing the Soviet Union had been stealing American technological research and development. Year 810 (DCCCX) was a common year starting on Tuesday of the Julian calendar. 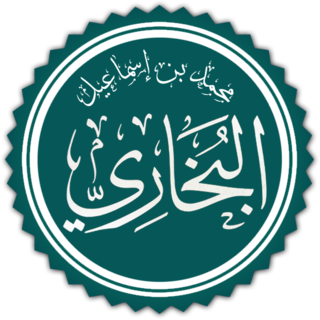 Abū ‘Abd Allāh Muḥammad ibn Ismā‘īl ibn Ibrāhīm ibn al-Mughīrah ibn Bardizbah al-Ju‘fī al-Bukhārī, or Bukhārī, commonly referred to as Imam al-Bukhari or Imam Bukhari, was a Persian Islamic scholar who was born in Bukhara. He authored the hadith collection known as Sahih al-Bukhari, regarded by Sunni Muslims as one of the most authentic (sahih) hadith collections. He also wrote other books such as Al-Adab al-Mufrad. Year 514 (DXIV) was a common year starting on Wednesday of the Julian calendar. At the time, it was known as the Year of the Consulship of Cassiodorus without colleague. The denomination 514 for this year has been used since the early medieval period, when the Anno Domini calendar era became the prevalent method in Europe for naming years. Pope Symmachus was Pope from 22 November 498 to his death in 514. 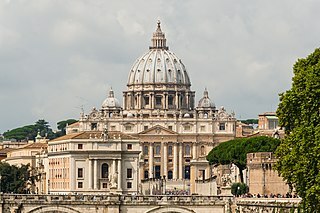 His tenure was marked by a serious schism over who was legitimately elected pope by the citizens of Rome. 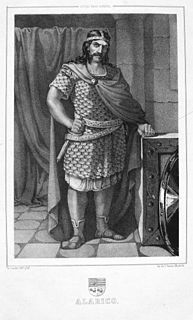 Saint Bernulf or Bernold of Utrecht was Bishop of Utrecht (1026/27–1054). Saints Justa and Rufina (Ruffina) are venerated as martyrs. They are said to have been martyred at Hispalis (Seville) during the 3rd century. Saint Kirdjun was a robber converted to Christianity. He was a reformed robber and bandit. He died as a martyr in Alexandria and was buried at Banuar. His feast day is July 19. He is referenced in Les Martyrs d'Égypte by Hippolyte Delehaye. Saint Arsenius (Arsenios) of Corfu, also known as Arsenius of Kerkyra, is one of the principal patron saints of Corfu along with Saint Spyridon. He was born in Constantinople to the Jewish faith. He became a Christian and the first bishop of Corfu. December 16 is the 350th day of the year in the Gregorian calendar. 15 days remain until the end of the year. 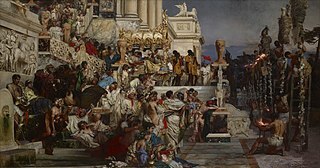 ↑ "Great Fire of Rome". This Day in Geographic History. National Geographic Society. 2014-06-18. Retrieved 2018-07-16. ↑ Augendre, Jacques (2016). Guide historique [Historical guide](PDF). Tour de France (in French). Paris: Amaury Sport Organisation. p. 5. Archived (PDF) from the original on 17 August 2016. Retrieved 27 October 2016. ↑ "1952 Helsinki Summer Olympic Opening Ceremony". Olympic Ceremony Database. Bryan Pinkall's World of Opera, Olympics, and More. 2012-07-12. Retrieved 2018-07-19. ↑ "Opening Ceremonies of the 1980 Olympic Games". Olympic Games. International Institute For Sport History. 2016-09-03. Retrieved 2018-07-19. ↑ "PICKERING, Edward Charles". The International Who's Who in the World. 1912. p. 856. ↑ Evans, Hilary; Gjerde, Arild; Heijmans, Jeroen; Mallon, Bill. "Choi Yun-Chil". Olympics at Sports-Reference.com. Sports Reference LLC. ↑ "Holly Payne @TDOSLWH on Twitter". Twitter. Retrieved 2018-07-20. Wikimedia Commons has media related to July 19 .